Dear brothers and sisters in Christ, today we celebrate together the feast of the famous and renowned saint of our Church, that is St. Francis of Assisi, the epitome and model of our faith, and the faithful servant of God, through whose works and legacies, he had brought countless souls into salvation in God, and through whose dedications and works he had become an example for countless more who followed and walked in his path. He was the founder of the Franciscan order, or the Order of the Friars Minor, renowned for their brown coloured habit and dedication to simple life and poverty, entrusting everything to the Lord, giving it all to the Lord and abandoning all worldly possessions. He was also contributed to the founding of several other religious orders, and his works and dedications had truly profound effect on the Church and the faith as a whole, even until today. Brothers and sisters in Christ, St. Francis of Assisi was himself once like us all, an ordinary man, the son of a wealthy and influential merchant, named Pietro di Bernardone at his birth, as the heir of his father’s fortune and business. He was educated and prepared for a life of glory and happiness, being well versed in the ways of the world and in all matters of finances. However, St. Francis of Assisi, then known as Pietro, always had that emptiness in his heart, which he could not satisfy with what he had gained in the happy life he had, and in the privileged life he had been given by his father. And therefore, there began the new life journey of who would eventually become the holy man of Assisi, one of the greatest saints of the Universal Church. He was praying in a rather dilapidated church building, when he heard a voice, from the Lord, saying to him to repair and rebuild His Church. The young Pietro Bernardone mistook this for the order to rebuild the dilapidated church building where he was praying in, and where he had heard the voice of God. As his father was a wealthy merchant dealing in precious goods such as silk trading, he took some of his father’s stock of silk, sold it and used the proceeds to pay for the repair work of the church. The word of this action came to the knowledge of Pietro’s father, the rich merchant, who then confronted him on his actions. At this time, Pietro, having heard the call of the Lord had decided that the path of his life was not through what he had always been prepared to be, and he sought refuge at the local bishop’s residence at his cathedral. The father of Pietro, the future St. Francis of Assisi, confronted the bishop and his son, contending and made noises over the amount of money and preparation he had given to his son and heir, and the supposedly humiliating action of his son, stealing and selling his goods and donating them to the Church. In response, St. Francis of Assisi took off all his clothes and possessions, and stood naked in front of the bishop, who then immediately covered him and protected him with his voluminous cope. In that way therefore, Pietro Bernardone rejected the temptations of wealth and the world, giving up everything to follow the Lord, and began his journey of faith and suffering, to be who we know now as the holy St. Francis of Assisi, the great servant of God, and went to truly rebuild and strengthen the Church of God as God had once called him. He went from place to place, preaching about the Lord and growing ever stronger in faith, and in various occasions, he experienced various experiences of faith that further strengthened his devotion to the Lord. St. Francis of Assisi also championed the faithful living of abandoning all forms of worldly attachments, and living in joyful poverty, in a life where everything he has belongs to the Lord, and where there is no need for worry, as everything will be taken care of by the Lord. St. Francis of Assisi thus established a new religious orders, now known famously as the Franciscans, after their founder, as a body to accommodate those who also desired to follow the Lord after the example of St. Francis of Assisi. Like St. Pius of Pietrelcina, another famous Franciscan monk and priest, who had received the five wounds of Jesus, called the stigmata, St. Francis also received the holy wounds of Christ through the moment of euphoria and holy vision, where he received the honour to bear the five wounds that were also once on the feet and hands of the crucified Lord Jesus Christ. These wounds would bring him great suffering but also great joy until the end of his life just a few years later. St. Francis of Assisi was known to be a holy and pious servant of God, and he was also exemplary in his life, loving all the people of God and he held great sincerity seeking to find a way to help bring the salvation of souls to as many souls as possible. St. Francis of Assisi was renowned for his prayer for peace, also known as the Peace Prayer of St. Francis, where he extolled the values blessed by the Lord in the Beatitudes, on those who championed peace and who are devoted to the Lord with all of their hearts. And therefore, St. Francis of Assisi is truly a great role model which we can follow in this life, that in all of his actions and deeds, we hope that we may also follow in his footsteps and therefore, we may also share in the justification which he had attained. And we should also follow in the loving ways of St. Francis, whose love for all the creations of God, mankind and animals alike, that we truly can become epitome of love as he had indeed become. And referring to the readings of the Holy Scriptures and the Gospels today, it is quite clear that God will reward all those who had believed in Him and remained true to Him in faith. To Job who remained faithful in his humility and obedience, He granted him great graces and blessings which He had bestowed once before, and then gave him even greater things, to the point that what Job had after his suffering was far greater than what he once had. And Jesus also gave thanks to the Lord His Father for the faith and the good works which His disciples had on Him and which they had done in His Name. And He revealed the truth about Himself, and how blessed they were indeed, for the righteous and the faithful had indeed seen the Lord Himself in action. And thus, all of us here who are also faithful and true to our faith will be blessed with greatness and riches beyond all things. Thus, brothers and sisters in Christ, following the example of St. Francis of Assisi and the other holy saints of God, let us all from now on excise from ourselves, from our hearts, our minds and our souls, the darkness and evils of this world, committing ourselves in the same manner as St. Francis of Assisi had done. It is not necessary that we ought to all abandon everything of possession and goodness as he had done, but what is important is that we try to imitate him in his actions and deeds, which reflected his standing as a pious servant of God. Brothers and sisters in Christ, let us all renew our faith in the Lord, not just through empty words or superficial application of faith, but through a dedicated and real devotion reflected in our actions and deeds, so that we may indeed be generous with our love, be caring for one another, especially those who are poor, sick and weak. Let us be peacemakers in this world, abandoning the ways of violence and hatred, and instead follow the path of love and justice. May Almighty God help and guide us in this endeavour, that in all the things we do we may become ever more and more faithful and devoted to the ways of the Lord in the same way as St. Francis of Assisi had done. May He guide us all, that we may become justified through our loving actions, filled with faith, hope and love. God bless us all. Amen. Give me knowledge and good judgment for I trust in Your commands. It is good for me to have been afflicted, for I have deeply learnt Your statutes. I know, o Lord, that Your laws are just, and there is justice in my affliction. Your ordinances last to this day, for all things are made to serve You. Give me knowledge; I am Your servant who desires to understand Your statutes. As Your words unfold, light is shed, and the simple-hearted understand. YHVH blessed Job’s latter days much more than his earlier ones. He came to own fourteen thousand sheep, six thousand camels, a thousand yoke of oxen, and a thousand she-donkeys. He was also blessed with seven sons and three daughters. The first daughter he named Dove, the second Cinnamon, and the third Bottle of Perfume. Nowhere in the land was there found any woman who could compare in beauty with Job’s daughters. Their father granted them an inheritance along with their brothers. Job lived a hundred and forty years; he saw his children and their children to the fourth generation. 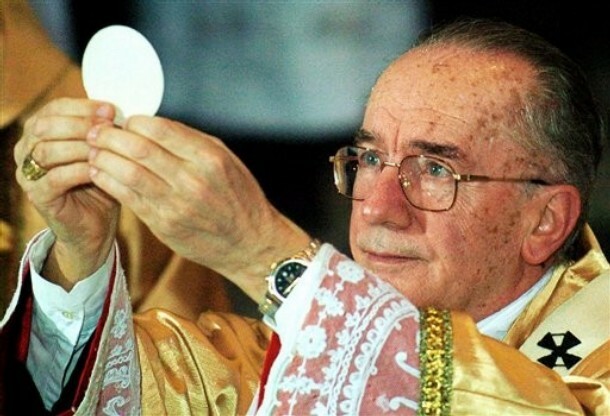 On Friday, 8 August 2014, Cardinal Claudio Hummes, O.F.M., Cardinal-Priest of S. Antonio da Padova in Via Merulana, Cardinal-Archbishop Emeritus of Sao Paulo (Brazil), turned 80, and therefore, according to the rules written in the Apostolic Constitution Universi Dominici Gregis, he lost his right to vote in any future conclave. 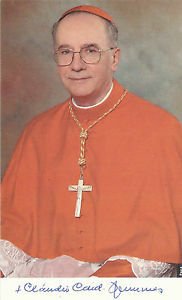 Cardinal Claudio Hummes was made Cardinal-Priest of S. Antonio da Padova in Via Merulana by Pope St. John Paul II in the 2001 Consistory of Cardinals on 21 February 2001, the eighth Consistory of his pontificate. Cardinal Hummes was made a Cardinal in honour of his position as the Metropolitan Archbishop of Sao Paulo, the largest and preeminent Archdiocese and See in the whole of the state of Brazil, which he held from 1998 to 2006. In addition, Cardinal Hummes also hold the position of the Cardinal Prefect of the Congregation for Clergy from 2006 to 2010. 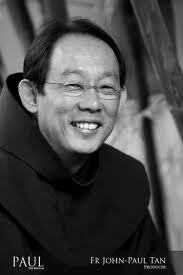 May God bless His Eminence Cardinal Hummes with a blessed old age and health. May he remain strong in the faith and hopefully can perhaps still continue to work great graces and good works of love and peace even after he has been retired to the people as the helper of the Vicar of Christ our Pope, as he continues to minister to the people of God. We thank him for his good service as the shepherd of the faithful in Sao Paulo and Brazil. The College of Cardinals now stands at 211 members in total, with 117 Cardinal-electors and 94 Cardinal non-electors. There are now a vacancy of 3 Cardinal-elector as compared to the maximum number of electors allowed in the Conclave of 120. 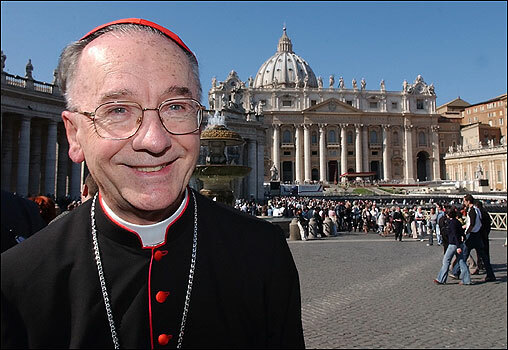 Next Cardinal-elector to age out (80) will be Cardinal Carlos Amigo Vallejo, the Metropolitan Archbishop Emeritus of Sevilla (Spain), on 23 August 2014. 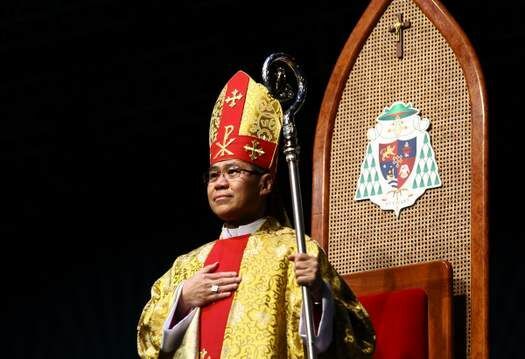 The new Archbishop of Singapore, Archbishop William Goh Seng Chye, has appointed new members of his Curia, that is the Curia of the Archdiocese of Singapore, which functions to help the Archbishop in his management of the day-to-day affairs in the Archdiocese. 2. 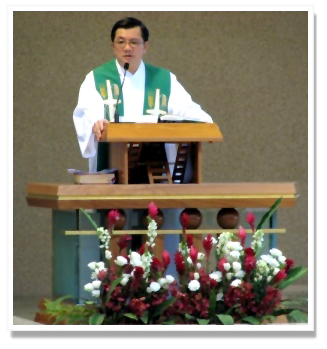 Vicar General (Administration and Religious) : Monsignor Philip Heng, S.J. Both of the Vicar Generals receive the honorary title Monsignor, more precisely titular Monsignor durante munere, that is they are only Monsignori during their term of office as Vicar Generals. 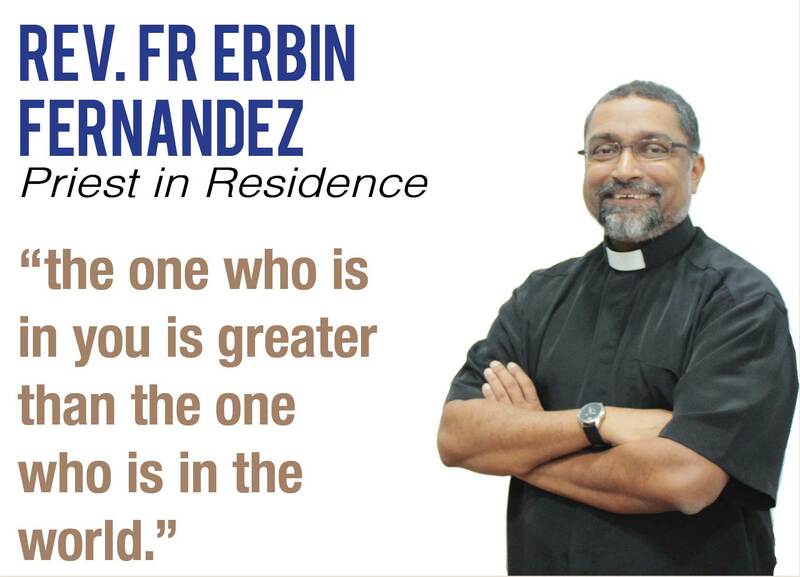 The former Vicar General, Monsignor Eugene Vaz therefore is now known as Fr. 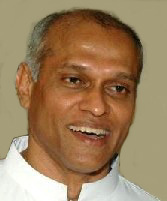 Eugene Vaz. 3. Chancellor : Fr. 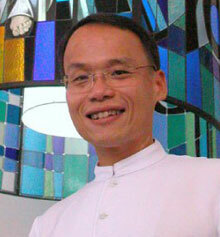 John Paul Tan, O.F.M. We pray for all the new appointees of Archbishop William Goh, that both all of them and the new Archbishop will begin their new term of office with God’s every graces and blessings, for the Church in Singapore and in the wider world. God bless!